Safety Issues with 15 Passenger Vans is Big News These Days. Over the last couple of decades there has been a sharp rise in the number of 15 passenger van fatalities. Due to the extended length combined with the height of the van, the vehicle has inherent safety issues. Schools and churches have been hit the hardest as they often have the greatest need of carrying large groups of people. The success of Carpenter Bus Sales has been in direct response to organizations looking to get out of 15 passenger vans and get into a safer like a commercial bus. Because of the safety risks involved, federal law prohibits the sale of 15-passenger vans for the school-related transport of high school age and younger students. Many states have passed regulations limiting the use these vans. Many institutions have already set deadlines for discontinuing the use 15-Passenger vans. The rollover risk, according to the National Highway Traffic and Safety Administration (NHTSA), of 15 Passenger Vans is 35% when loaded with 10-15 passengers, and 70% when loaded with 16 or more passengers! From 1990-2003, 424 people lost their lives in van rollover accidents and hundreds more have been seriously injured. One of the primary differences in 15 passengers vans and 15 passengers buses is the dual rear wheels. Adding dual rear wheels to any vehicles automatically makes it more stable with a wider base to keep the vehicle steadier. Both vehicles are taller than standard vehicles and have a higher profile. Compensation must be made to offset the extra height. Having dual rear wheels creates a lower center of gravity making 15 passenger buses much safer than 15 passenger vans in that regard. 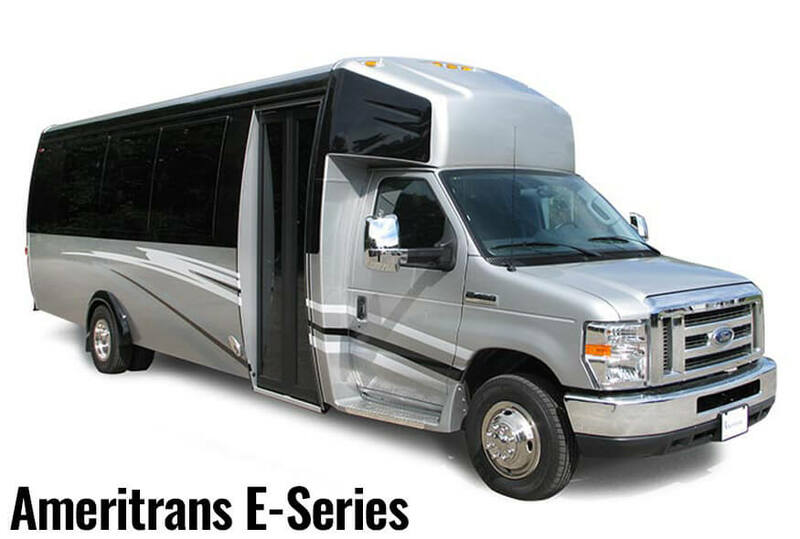 Another difference is that 15 Passenger vans have a higher entry point on the side door while 15 passenger buses offer a much lower entry step. The lower entry step is achieved by having a lower floor in the bus. Because of the lower floor, 15 passenger buses have the ability for passengers to be able to stand up (should not be done while the bus is in transit.) This comfort is not available on 15 passenger vans. 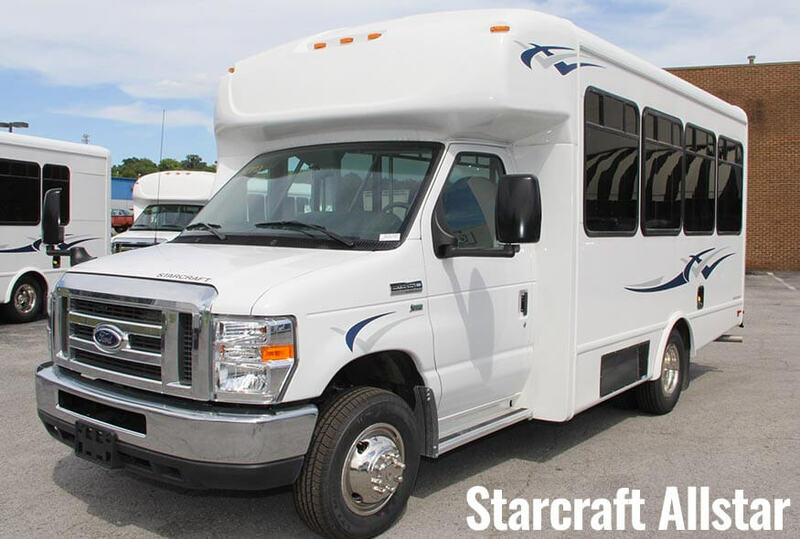 15 Passenger vans come standard with bench seats and a very narrow right side aisle. 15 passenger buses, in contrast, come standard with individual bucket seats and a center aisle. 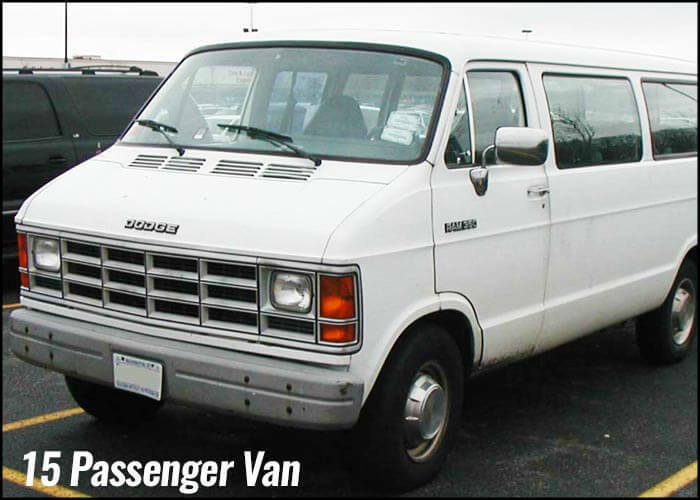 Replace your older, dangerous 15 passenger van with a safe, 15-passenger bus that meets Federal Safety specifications. Carpenter Bus Sales has been helping organizations since 1953 with their transportation needs. Let us help you!